Posted Wednesday, July 3rd, 2013 by Steve Leigh. Mobile printers like the Canon PIXMA iP100 do a pretty decent job of printing full-sized documents, and mobile printers in this style are generally light enough to take with you from place to place. But what about a printer that can fit in your pocket? Sure, you can’t print a full-sized page, but for small photos or even something like a copy of a business card, they can certainly come in handy. Here are a few pocket printers that are redefining the meaning of “portable printing”. This tiny pocket printer measures just 4.7×2.8 inches, with a weight of only 8 ounces. It can create 2×3-inch borderless photos that are water-resistant and smudge-proof. Most interesting of all, it prints without the need for any ink, as the paper itself contains crystals of different colors. This system is called ZINK, for “zero ink”, as it doesn’t require inkjet cartridges, though replenishing the paper supply can get somewhat expensive. The PoGo can connect via Bluetooth to a number of different cell phones and mobile devices, or via USB, but major phones like the iPhone are not yet compatible. PC Magazine liked the PoGo’s easy setup and small size, but found the color quality a bit disappointing. 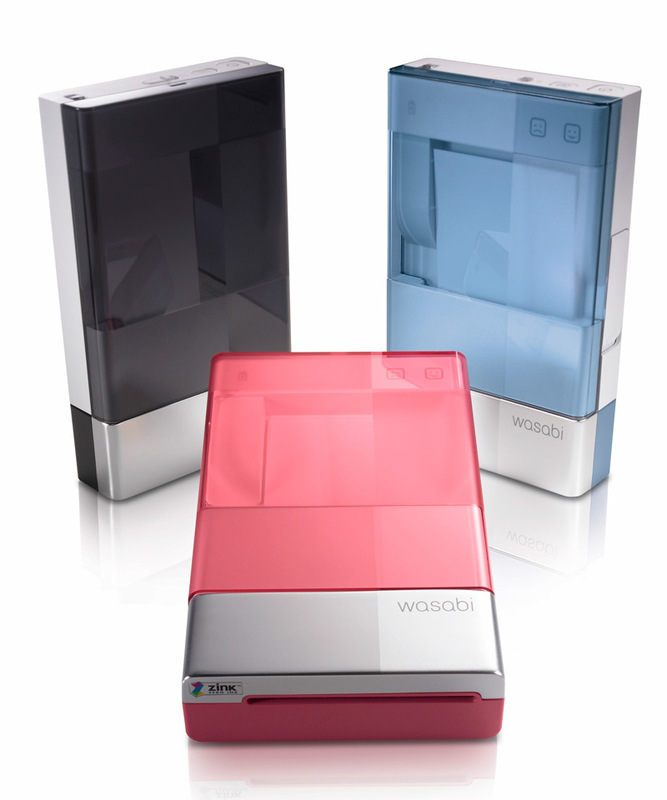 The Dell Wasabi is similar in size to the PoGo, and also outputs 2×3-inch photos. It is only a little larger, at 4.8×2.9 inches, but is still very portable. Gizmodo called it the “first inkless printer that’s not hideous”, and it is true that it has a bit more style than previous models, especially since it is available in multiple colors. It does suffer from similar color issues to the PoGo, though its second-generation ZINK technology was rated a little higher by reviewers. Like the previous model, though, it also has a lack of support on some popular phones like the iPhone. Pandigital’s portable printer may be a bit large to actually fit into a pocket, but it is still fairly portable, measuring 6.2×6.75 inches. Its weight of 1.75 pounds might be a bit heavy for some users to carry around on a regular basis, though. 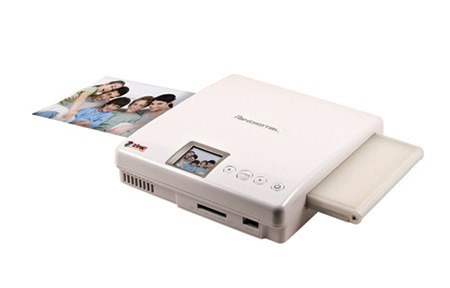 The extra bulk pays off, however, in larger prints, as the model can print 4×6-inch photos. The Pandigital model also uses the ZINK system, and its second-generation output is also improved. Pandigital has expanded compatibility by quite a wide margin, however, by including an SD card slot and a USB port, which also doubles as a PictBridge port for compatible cameras. This gears the printer more toward digital cameras and away from cell phone and smartphone use, which could be good news for buyers who want to get images from their point-and-shoot camera rather than their cell phone. 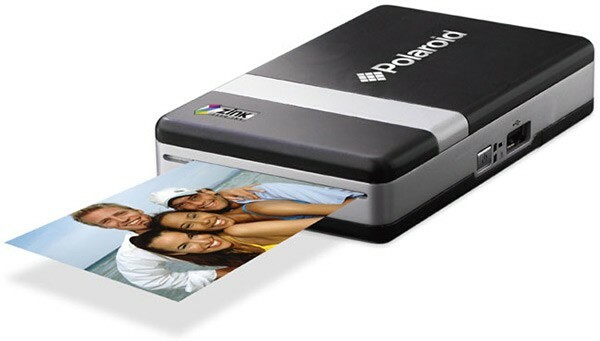 These pocket printers seem destined to replace the classic Polaroid cameras and their instant gratification, and the technology is likely to continue to improve. Today, these models are likely to be seen as a novelty that only appeals to very specific buyers, but the ZINK “zero ink” technology has a lot of potential for even better and more varied products in the future.